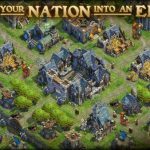 Even if you’ve been playing DomiNations on your Android or iOS device for some time, you still may wonder a lot about a few things in the game. For one, what does the Terra Cotta Army really do, how can you make the most out of them, and why should you make it a Classical Age wonder? 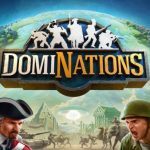 A lot of players have asked this question, but we happen to have the answer in the form of these DomiNations strategies. Finally, we’ve gotten to the bottom of things, and we hope this will help you make the most out of this particular wonder. Right now, the Terra Cotta Army can add 10 Soldiers and 10 Archers to your army, and you can use them once a day. The level of the Soldiers and Archers is based on your existing troops’ levels. You’ll also get a 20 percent HP bonus for barracks surrounding the area, so that, at least, gives you some added muscle on defense. As the number of additional troops the Terra Cotta Army can provide will remain the same regardless of age, this makes the bonus troops less useful as well. It’s something you’ll have to deal with, unfortunately, though they can be quite useful after al in the Classical Age. Once again, we should stress that the Terra Cotta Army can only be used once per day. And with that said, we believe the best way you can use them is to bolster your army in attacking a base with a truckload of resources. Colosseum Or Terra Cotta Army? We did say in a separate article that the Colosseum may be your best choice of Classical Age wonder. The usefulness of the Terra Cotta Army, as we discussed above, may make that choice even more debatable, but either way, you’ll be coming up a winner if you choose either the Colosseum or the Terra Cotta Army as your Wonder for the Classical Age. 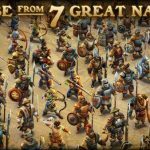 If you’re looking for more Dominations tips and tricks, we advise you to check our article on the best attacking strategies, as well as our guide on the most effective defensive strategies. In case you’re wondering how to get three catapults in the game, we covered this topic as well in a separate article.